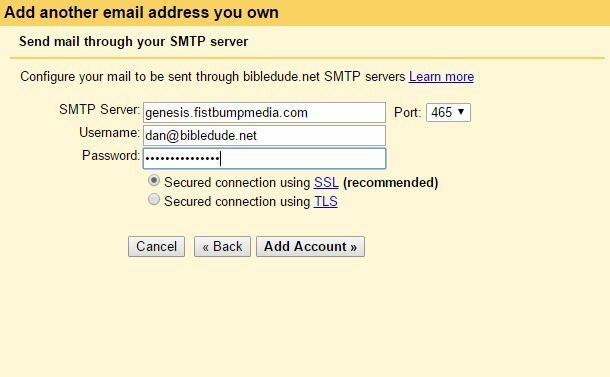 This document will show you set up your Fistbump Media hosted email account in Gmail. 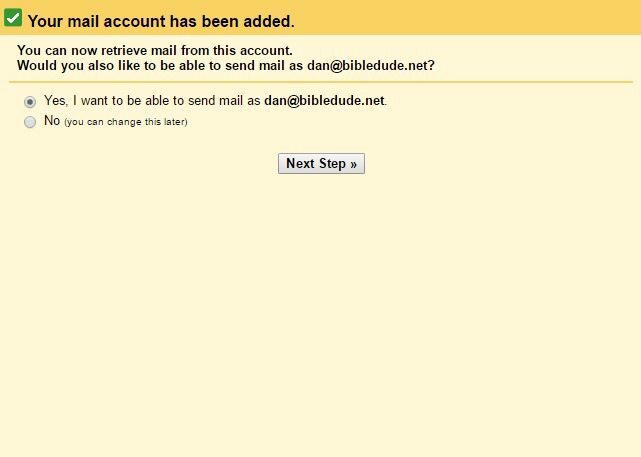 Step 1: Open Gmail, and go to Settings (in the gear icon in the top right corner) and click on the "Accounts and Import" tab. To complete the setup, click on the Add Account button. You can also select which email address to send as within an individual email by selecting the address from the From drop-down selection.